Hy-Tech has consistently performed to more than qualified standards for over 20 years. You can count on Hy-Tech Services to be top notch for excellent service and affordable prices. 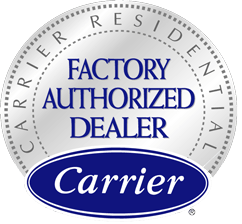 Carrier Authorized Dealer With Carrier comes confidence that you are getting top of the line solutions, and products. No matter what your HVAC needs are Carrier will provide quality and dependability. 100 % Satisfaction Guarantee Contact us today to learn more and to set an appointment.